Get ready! 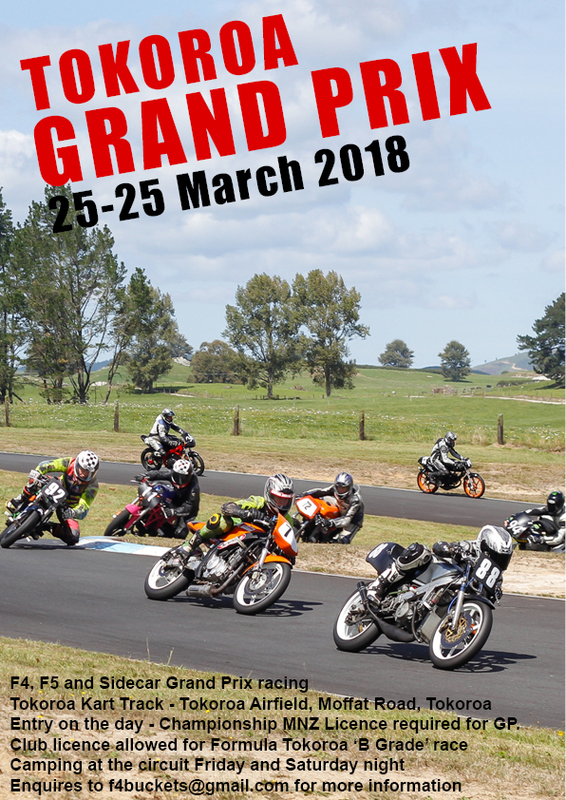 NZ Bucket Grand Prix is coming! The New Zealand Miniature Road Racing Grand Prix is lining up to be a complete fire cracker of an event. And one not to be missed as the bucket racing event of the year! The competition is stacked with numerous personal best times and lap records being challenged by both Auckland and Wellington riders at their local circuits. The steep elevation changes, complex turns, big field and long races challenge even the most seasoned of racers. Bring enthusiasm, a reliable bike and port for port on the corner. See you there! Need a licence upgrade for the Grand Prix? Click here for the GP entry form. If you need a one event licence upgrade, fill out the entry form and send to Henk at zeeven@xtra.co.nz then bank the entry fee with your name and licence number as references into this bank account: 03-0296-0092628-25. Entry forms that require the upgrade must be processed as soon as possible or risk missing out! If you have a full championship licence or are entering the 'B Grade' Formula Tokoroa race you can enter on the day as normal.